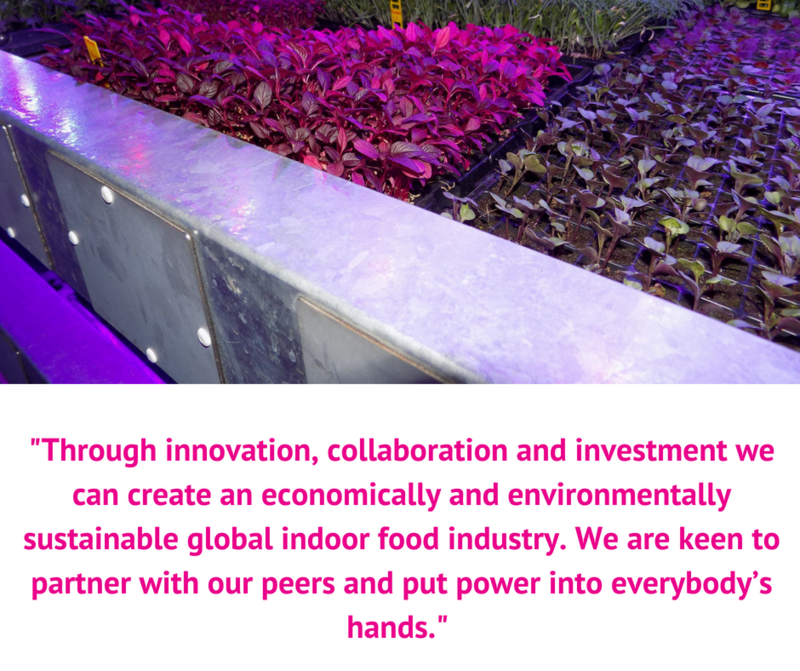 The world of indoor farming is rapidly evolving, we all know that. There are the innovators, the visionaries and even the opportunists (yes, there always will be). These groups contrast with the more traditionalist approach, the naysayers who are less than convinced about the positive future of indoor agriculture, especially in its nascent vertical and urban formats. To the sceptics economic pressure might be a given: it is costly to run an indoor facility as power and labor are expensive. Equipment, both hardware and software, are capital intensive and the larger the facility, the larger the investment. This is compounded by the limited range of crops that are currently economically viable to grow indoors. Not only that, but productivity is really tough to optimise: the yield, quality and consistency that can let us command premium prices seem as elusive as ever. These are very real challenges for our sector and the drive to solve them is imperative. When a relatively small indoor farming business welcomed Professor Ian Boyd, one of the UK’s foremost scientific advisors, to visit its new demonstration vertical farm on the east coast of Scotland, it was clear he was coming from the sceptics’ camp. His own research had concluded that it would “always be more efficient to use a photon coming directly from the sun to energize electrons in chlorophyll than to use a photon generated by a light powered by electricity”. He was correct: the ability to optimise LED performance was one of the unsolved fundamentals. The ability to deliver the right light, crop by crop, tray by tray and to mix frequency, pulsing and dimming without a loss of efficiency, has been sought by growers and their tech vendors for years. 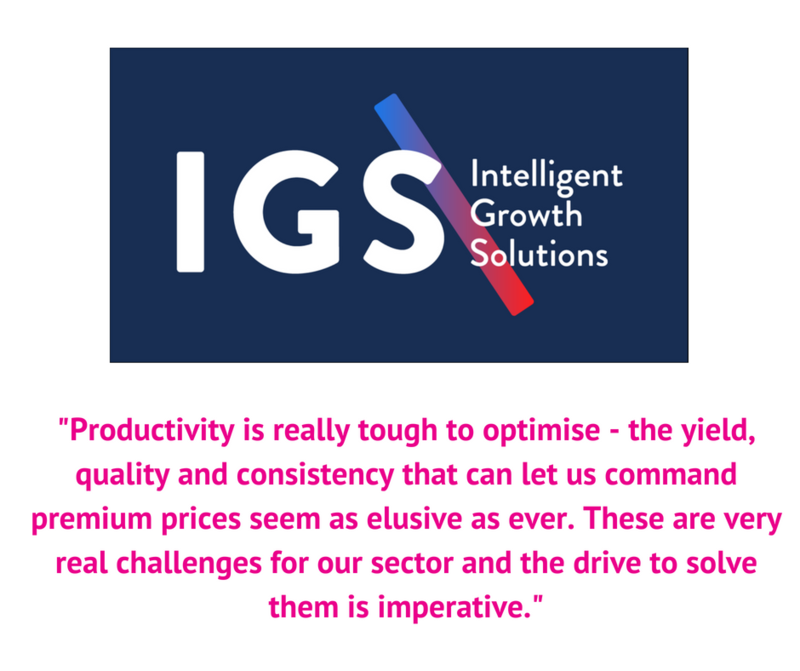 However, the need to optimise growing conditions to deliver economic viability goes beyond just light. It requires Total Control Environment Agriculture (TCEA), to create the optimum recipe of light, ventilation, water/nutrients and gases for each crop – this is how we can create the ideal conditions for life. 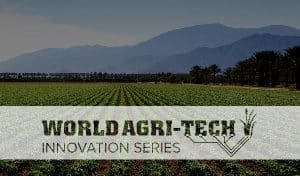 At IGS we came at these problems with a stereoscopic view, a visionary farmer with over 30 years’ growing experience and a polymath engineer came together to take a long, orthogonal look at the challenges and explored the use of technologies in a number of seemingly unrelated sectors. By experimenting with a combination of electrical, electronic and mechanical engineering principals they started to demonstrate how efficiencies can be delivered to radically reduce energy and labour costs and greatly improve productivity. 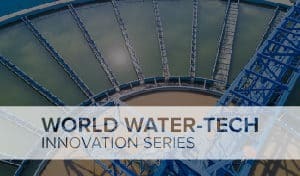 The IGS Power & Comms platform built from these innovations requires no cables, computers or capacitors, yet is fully IOT-enabled and managed using artificial intelligence. When Professor Boyd saw the results, he blogged afterwards – they re-imagined the problem and on the back of their key innovation they are systematically re-engineering the processes of plant production. It could completely revolutionise how electricity is routed around factories and even our home which could turn out to change all our lives in positive and unimagined ways. We may have converted one sceptic, but this is just a starting point. Our sector is ripe and ready for change, and we know we don’t have all the answers in our small business. Our vision is that sustainable change will only be delivered once we start to collaborate. 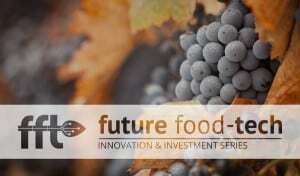 What’s needed are technology vendors with complementary products, working with growers and producers, all backed by far-sighted investors and partnering with crop research institutes. 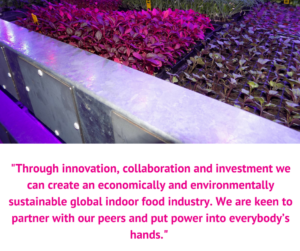 We firmly believe that through innovation, collaboration and investment we can create an economically and environmentally sustainable global indoor food industry. 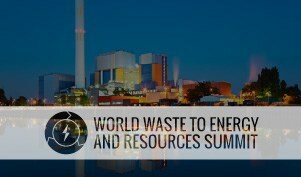 We are keen to partner with our peers and put power into everybody’s hands. 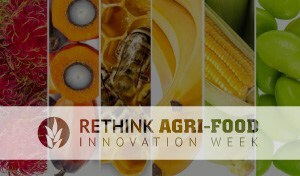 We are starting on the road to re-imagining agriculture and it is an exciting place to be. 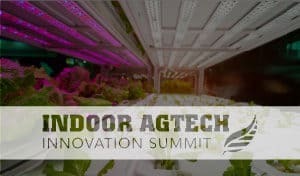 The IGS team will be speaking at the upcoming Indoor AgTech Innovation Summit in New York. 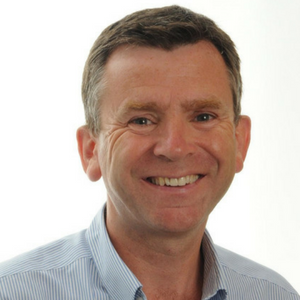 Sir Henry Aykroyd, Founder & Director will deliver a session on Indoor Economics: Automation, Power Management and Profitability at 11.15am on June 21. 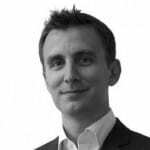 Dave Scott, Founder & CTO will discuss Crops, Robotics, Lighting & Automation: Engineering Systems for Enhanced Efficiency at 11.30am on June 21.